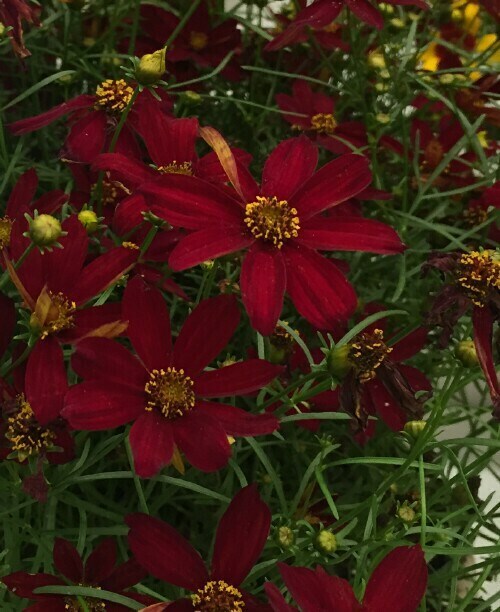 Deep red flowers cover the compact, rounded mound of threadleaf foliage. Showy display for midsummer. Easy to grow in full sun gardens. Deer resistant.